The paper “Stability of periodic gravity waves in the presences of surface tension“, co-authored by Bernard Deconinck and Olga Trichtchenko, has appeared in the European J Mechanics B/Fluids. The starting point is the instabilities of periodic gravity waves that arise in shallow water (Deconinck and Oliveras, 2011). Using the recent reformulation of Ablowitz, Fokas and Musslimani (2006), the paper computes periodic travelling water waves where the effects of both gravity and small surface tension are incorporated. The spectral stability of these solutions is examined using Hill’s method (Deconinck and Kutz, 2006). It is found that the instabilities are not suppressed by the inclusion of surface tension. In fact, the growth rates associated with them increase as the surface tension grows. 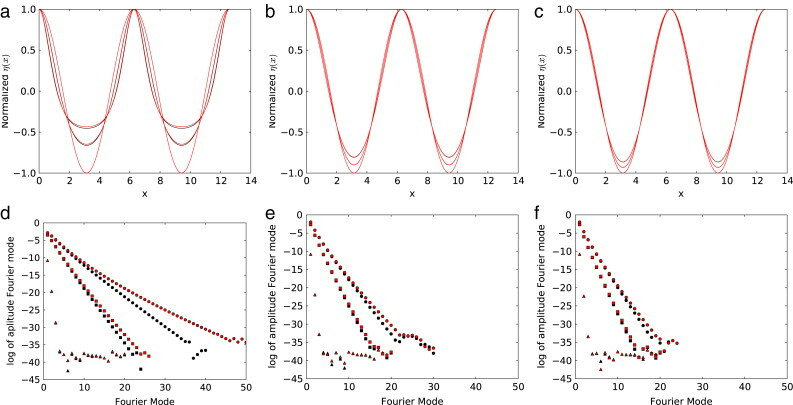 Generalizing the work of MacKay and Saffman (1986), the persistence of these instabilities is confirmed analytically for waves of small amplitude. A link to the paper is here.